THE A-Z OF THE BEST BOX SETS OF 2013-PART 1. With 2013 drawing to a close, and a new musical year beckoning, it’s time to look back at the best music released during the year. Over the next few days, I’ll look back at the best compilation, reissues and new releases. Before that, I’ll pick what I think have been the best box sets of 2013. Now this is something of a labor of love for me. Why? Well, I can’t resist the delights of box sets. Over the years, I’ve bought more box sets than I’m willing to admit to. I just can resist a box set. During 2013, I’ve reviewed many box sets. However, during 2013, I’ve noticed the definition of a box set is changing. Previously, box sets were lavish affairs. They featured six or eight discs. Not any more. Now what I’d refer to as double albums, are referred of as box sets. Even single discs contained in lavish packaging, is referred to as a “box set.” This is all part of the reinvention of the music industry. After all, with every year that passes, the reissue market becomes ever more lucrative. That’s why many of the same albums are constantly reissued. With every major anniversary, there’s a reissue of these albums. Some of them will find themselves on my list of best box sets of 2013. So without further ado, here’s my A to Z of my best box sets of 2013. In-depth reviews of most of them can be found elsewhere in my blog. ACID-MYSTERONS INVADE THE JACKIN’ ZONE: CHICAGO ACID AND EXPERIMENTAL HOUSE 1986-93. Acid-Mysteron Invade The Jackin’ Zone: Chicago Acid and Experimental House 1986-93 is no ordinary compilation. Quite the opposite. Instead, it’s a luxurious double-album, from Soul Jazz Records that’s housed in substantial box. Within the box, are the two discs plus a couple of bonus items. There’s a a limited edition set of postcards and a graphic novel by Paolo Parish, entitled Mysterons Invade The Jackin’ Zone, which is set in Chicago in 1986. All that’s just a bonus, what really matters is the music on Acid-Mysteron Invade The Jackin’ Zone: Chicago Acid and Experimental House 1986-93. For newcomers to Chicago House, it’s much more than an introduction to the music. It’s an introduction to some of the pioneers of Chicago House. Without the technology and software producers take for granted, pioneers like Mr. Fingers, Virgo, Adonis and J.M. Silk. These are the people who were there at the dawn of a musical revolution. Since then, house music has continued to evolve, with numerous sub-genres have been born. That’s ensured that house music neither becomes stale nor complacent. Born out of disco and boogie, house music has become one of the most important musical genres in the history of music. It’s enjoyed a longevity that few people would’ve forecast. Mind you with several generations of musical innovators breathing new life and energy into house music, then that longevity isn’t a surprise. As house music approaches its thirtieth birthday, then Acid-Mysteron Invade The Jackin’ Zone: Chicago Acid and Experimental House 1986-93 is an important reminder of house music’s roots. ACID RAIN: DEFINITIVE ORIGINAL ACID AND DEEP HOUSE 1985-1991. Acid Rain: Definitive Original Acid and Deep House 1985-1991 was released by Harmless Records in August 2013. Compiled by Terry Farley, it features sixty-one tracks spread over five discs. The six year period Acid Rain: Definitive Original Acid and Deep House 1985-1991 covers is the golden age of house music. Born in Chicago, in the early eighties, this period marked the birth of a new, innovative and revolutionary musical genre which celebrated its twenty-fifth birthday. The release of Acid Rain: Definitive Original Acid and Deep House 1985-1991 is the perfect way to celebrate the 25th anniversary of the Second Summer Of Love. To celebrate this illustrious anniversary, what was needed was a lovingly compiled, box set, that was a reminder of those heady, hedonistic days of 1988. That’s what we got, thanks to Terry Farley. He’s chosen well, and has dug deep, deeper than he’s dug before. Terry Farley chose sixty-one tracks which include old favourites, classics and hidden gems. Most of the tracks are innovative and groundbreaking. This includes contributions from pioneering producers. Despite the lack of a large budget, recording contract or recording studio, producers were able to record music that was revolutionary, music that was imaginative, innovative and went on to influence further generations of producers. Some of that music is nearly thirty-years old, but has aged well. Indeed, I’d go as far as describe the music as timeless. That certainly is a good way to describe much of the music on Acid Rain: Definitive Original Acid and Deep House 1985-1991. Timeless, innovative and influential describes the music on Acid Rain: Definitive Original Acid and Deep House 1985-1991, which is a glorious reminder of the heady, hedonistic days of the Second Summer Of Love. The best way to describe Afrobeat Airways 2-Return Flight To Ghana 1974-1983, is a luxurious and lovingly compiled compilation. It’s contained in a heavyweight cardboard slipcase. Within it are a forty-four page book and separate slipcase which contains the CD. Everything about Afrobeat Airways 2-Return Flight To Ghana 1974-1983 reeks of quality. Other reissue companies should look at what Analog Africa do and make this the industry standard. After all, many people, myself included, want a quality product. Many people also want to know more about the music and the people who made it. Describing the sleeve-notes to Afrobeat Airways 2-Return Flight To Ghana 1974-1983 as extensive and informative seems an understatement. It’s a labor of love. There are ten essays in the sleeve-notes to Afrobeat Airways 2-Return Flight To Ghana 1974-1983. Nine of the interviews are by Vikran Sohonie, who deserves the utmost credit for his contribution. His love of Ghanian music shines through and his enthusiasm is almost infectious. It’s well worth taking the time to read and absorb the sleeve-notes. It helps you to understand the music. Ironically, to do the sleeve-notes justice, it takes longer to read them than listen to Afrobeat Airways 2-Return Flight To Ghana 1974-1983. Having said that, it takes several listens to even come close to appreciating the subtleties and nuances of what is some of the best music to come out of Ghana between 1974 and 1983. On Afrobeat Airways 2-Return Flight To Ghana 1974-1983, everything from funk, gospel, jazz, psychedelia, rock and soul combined. The result is thirteen delicious slices of Afrobeat and highlife. Uplifting, joyous, spiritual and infectiously catchy, it’s also funky, jazz-tinged, soulful and lysergic. It’s music that has a foot in four decades. Influenced by fifties and sixties jazz, sixties psychedelia sits next to seventies funk and Blaxploitation. There’s also a twist of rock, gospel and soul. All these influences play their part in some glorious music, music that truly deserves a wider audience. For too long, Angolan music has been overlooked. While we’re familiar with the music of Nigeria, Kenya, South Africa and Ghana, record companies have overlooked Angola’s musical past. Not any more. Samy Ben Redjeb’s Analog Africa released their first compilation of Angolan music in 2010. Three years later, comes the much anticipated followup, Angola Soundtrack 2. Featuring twenty-one tracks, Angola Soundtrack 2 is of the quality I’ve come to expect from Analog Africa. Analog Africa’s approach to compilations is to concentrate on quality, not quantity. Angola Soundtrack 2 is only their fifteenth compilation. Rather than releasing new compilations each month, Analog Africa take time and care, producing lovingly complied and lavish compilations. Angola Soundtrack 2 is proof of this. Featuring in-depth sleeve-notes, full of interviews with some of the musicians that featured on Angola Soundtrack 2, this sets the standard for compilations. It’s obvious time and effort has gone into the making of Angola Soundtrack 2, an eclectic collection of tracks. There’s everything from Afro-beat, funk, jazz, Latin, merengue and soul. Musical influences and genres melt into one. Joyous, uplifting, irresistible and infectiously catchy describes the music on Angola Soundtrack 2. So does soulful, heartfelt and impassioned. Full of subtleties, surprises and hidden secrets, Angola Soundtrack 2 is the perfect introduction to Angolan music. It’s also the perfect followup to Angola Soundtrack. Just like Angola Soundtrack, Angola Soundtrack 2 is a tantalising taste of Angola rich and vibrant musical legacy courtesy of Analog Africa. BELLE AND SEBASTIAN- THE THIRD EYE CENTRE. Often, when a group released a compilation of B-Sides, rarities and non-album tracks, they’re cash-ins filled with third rate music. That’s not the case with Belle and Sebastian, They don’t release third-rate music. No way. Their compilation, The Third Eye Centre, which was released earlier this year is proof of this. Instead, The Third Eye Centre is a tantalising glimpse of Belle and Sebastian. It’s also a delicious glimpse of what we’re missing. If they could only produce albums on a more regular basis. Mind you, maybe they’d lose some of their unmistakable charm? Belle and Sebastian are capable of producing captivating, bewitching and beautiful music. Sometimes, they lay bare their soul, while articulating their hopes, fears, frustrations and dreams. Articulating this range of emotions, are Glasgow’s purveyors of pop perfection Belle and Sebastian. Their music despite being quintessentially Scottish, transcends geographical boundaries. For anyone whose lived, lost and lost love, Belle and Sebastian’s music will speak to them and for them. It brings to life their heartache and hurt, their sense of how life will never be quite the same again. Belle and Sebastian’s music, including the music on their recently released The Third Eye Centre compilation, is deeply soulful, beautiful and emotive. That’s why Belle and Sebastian are one of the best bands to come out of Scotland in the last thirty years. It’s also why every self respecting record collection must feature a Belle and Sebastian album. A good place to start is Tigermilk, The Boy With The Arab Strap and to give you a taste of what happened next, The Third Eye Centre. These three albums, are sure to make a Belle and Sebastian fan out of you. CAN YOU JACK? CHICAGO HOUSE AND EXPERIMENTAL HOUSE 1985-1995. Can You Jack?Chicago House and Experimental House 1985-1995 isn’t a new compilation. Not at all. It was originally released way back in 2005. Now eight years later, just as the Chicago House is about to celebrate its thirtieth anniversary, Soul Jazz Records have decided to rerelease Can You Jack?Chicago House and Experimental House 1985-1995. That’s no bad thing though. It’s a reminder of the heady, hedonistic, glory days of Chicago House and beyond. Rather than limiting the music from 1985-1989, which were the golden years of Chicago House, extending this to 1995 worked well. It allowed the compiler to include music from the second wave of producers. This new generation of producers took Chicago House in a new direction. Sometimes, this meant a more experimental direction. This meant Chicago House enjoyed a longevity that few forecast it would. They doubted whether it would survive beyond a few years. Mind you, look at the pioneering producers were working during this period. Looking through the track-listing of Can You Jack? Chicago House and Experimental House 1985-1995, it’s certainly not short of Chicago House legends. There’s contributions from some of the pioneers of Chicago House. This includes contributions from Sweat Boyz, Virgo, Mr. Fingers, Phuture and Roy Davis. There are also contributions from Maurice, Tyree and Fresh. They played their part in making Chicago House’s history. As Chicago House approaches its thirtieth anniversary, there’s been a resurgence in interest in the music’s roots and history. One way to find about Chicago House’s roots and history is by buying Can You Jack? It was released in April 2013 and features a lengthy and informative fifty-two page booklet. Can You Jack? Chicago House and Experimental House 1985-1995 also features some of the greatest, most influential and innovative music in the history of Chicago House. DAMON- SON OF A GYPSY. For any collector of psychedelia, if they’re lucky enough to find a copy of Damon’s Son Of A Gypsy, it becomes one of their most prized possessions. Finding a copy is another thing. Copies are rarer than hen’s teeth and are changing hands for large sums of money. Recently, copies have changed hands for thousands of dollars. Son Of A Gypsy, which was recently released on Now Again, you’ll realize is no ordinary album. Son Of A Gypsy was a lost psychedelic classic. With copies changing hands for several thousand dollars, very few people were able to hear Son Of A Gypsy. Even previous rereleases on CD were rarities. So, when Now Again Records decided to rerelease Son Of A Gypsy, it was a welcome rerelease. Best described as a lovingly compiled and lavish rereleased, Now Again’s rerelease of Son Of A Gypsy, is like a mini hardback book. Featuring in-depth sleeve-notes, including an interview with Damon, it’s one of the most lavish rereleases of 2013. As for the sound quality, it’s exquisite. 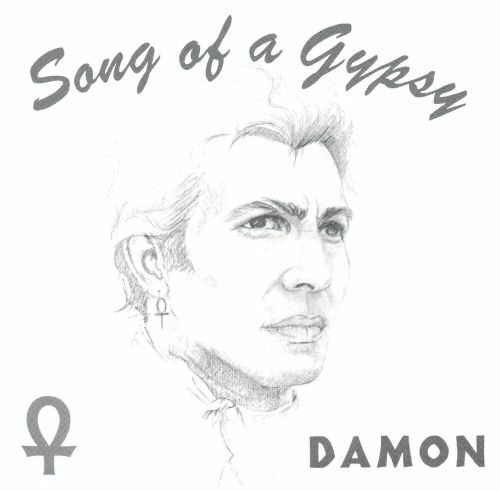 Time has been taken and money spent on getting the sound on Son Of A Gypsy, as Damon originally intended. This is a fitting makeover for Son Of A Gypsy. After all, Son Of A Gypsy is an innovative, genre-melting, boundary pushing album. For anyone whose interested in psychedelia, then Son Of A Gypsy is a must-have album. Everything from blues, folk, funk, psychedelia, rock and soul can be heard on Son Of A Gypsy. With its lysergic, ethereal and dreamy sound Son Of A Gypsy is now within the budget of music lovers everywhere, who now can hear this lost psychedelic classic in all its glory for the first time. 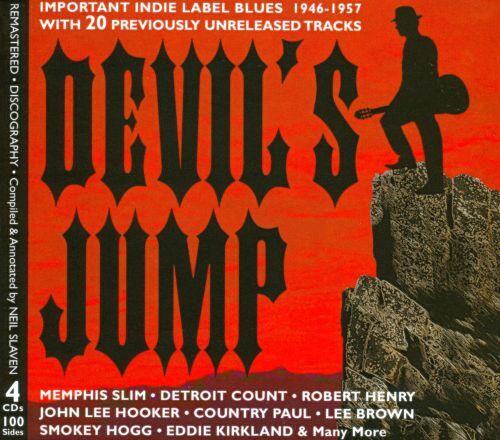 DEVIL’S JUMP: INDIE LABEL BLUES 1946-1957. In March 2013, British reissue label JSP released Devil’s Jump: Indie Label Blues 1947-1597. Compiled by Neil Slaven, Devil’s Jump: Indie Label Blues 1947-1597 is a four-CD box set which focuses on the blues music released by King Records, and its sister label Queen Records, during the eleven year period between 1946 and 1957. Queen Records was part of Syd Nathan’s musical empire and released some of the best blues music of that era. Devil’s Jump: Indie Label Blues 1947-1957 is a musical journey that’s four discs and 100 tracks long. Lasting an eleven year period between 1946 and 1957, there are contributions from some giants of blues music and some less familiar faces. This means that Devil’s Jump: Indie Label Blues 1947-1957 will appeal to veterans of many a blues compilation, plus relative newcomers to blues music. For blues veterans, Devil’s Jump: Indie Label Blues 1947-1957’s U.S.P. is the twenty unreleased tracks. For completists, this makes Devil’s Jump: Indie Label Blues 1947-1957 an essential purchase. What makes Devil’s Jump: Indie Label Blues 1947-1957 an essential purchase is emotion and potency of the music. That many of the tracks have a raw, almost primitive sound just adds to this. It makes Devil’s Jump: Indie Label Blues 1947-1957 one of the most captivating and compelling box sets of 2013 so far. In many ways, Devil’s Jump: Indie Label Blues 1947-1957 is just a tantalising taster of the hidden delights of King and Queen Records’ rich and illustrious back-catalogue. Described by some as a musical genius, Donny Hathaway never got the opportunity to fulfill his potential. No. Tragedy intervened in Donny Hathaway’s life, when his career was cut shot in January 1979. Donny was just thirty-four. He’d released just a trio of solo albums between 1970 and 1973. His debut album was 1970s Everything Is Everything, followed by 1971s Donny Hathaway and 1973s Extension Of A Man. In between Donny Hathaway and Extension Of A Man, Donny contributed the soundtrack to Come Back Charleston Blue and an album of duets with Roberta Flack. Entitled Roberta Flack and Donny Hathaway, it was released in 1972 and was certified gold. It featured the number one US R&B single Where Is The Love. Five years later, in 1978, the pair enjoyed another number one US R&B single with The Closer I Get To You. Just like Where Is The Love, it was certified gold. Both of these tracks, feature on the recently released Donny Hathaway box set Never My Love: The Anthology. It was released on Rhino and is best described as a celebration of Donny Hathaway’s career over four discs. During Donny Hathaway-Never My Love: The Anthology, Donny’s takes you on a musical journey. It’s best described as captivating, enthralling, mesmeric, soulful spiritual and uplifting. Donny’s fuses elements of soul, jazz, funk and gospel music. You’re transfixed, awaiting the next song with anticipation, listening to every subtlety and nuance. When one song ends, you await the next hungrily, especially, the previously unreleased tracks. You find yourself pressing repeat, listening again, just in case you missed anything the last time. Then there’s the tracks from Donny’s back-catalogue. They’re like old friends, who you’ve know all your life. These tracks are a tantalising taste of Donny Hathaway in his prime, when he looked like becoming one of the giants of soul. Tragically, that wasn’t to be. Fate intervened and robbed us of Donny Hathaway. He died aged thirty-four. That day in 1979, soul music lost one of its most talented sons. 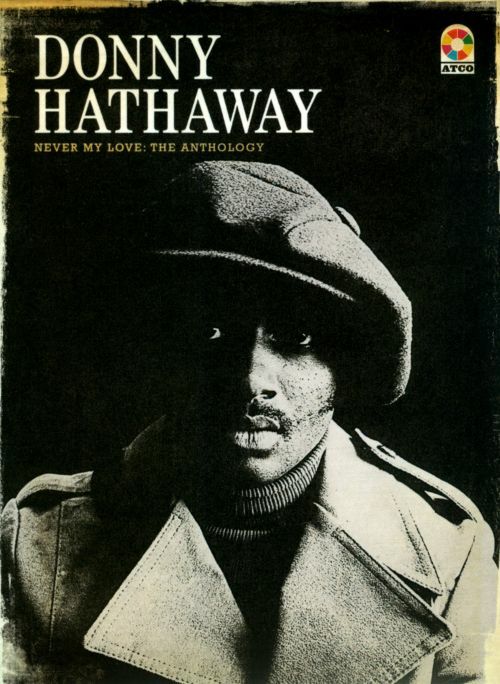 A poignant reminder of this is Donny Hathaway-Never My Love: The Anthology. Over four discs, Donny Hathaway-Never My Love: The Anthology is a celebration of Donny Hathaway’s musical career and is a reminder of a musical colossus who during the seventies, looked like he was on his way to becoming one of the biggest names in soul music. 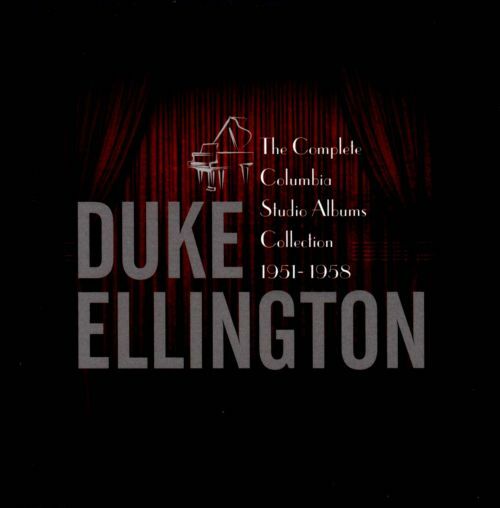 DUKE ELLINGTON-THE COMPLETE COLUMBIA STUDIO ALBUMS COLLECTION 1951-1958. For Duke Ellington, one of the most productive and critically acclaimed period of his sixty-year career was at Columbia Records, between 1951 and 1958. During this period, Duke’s music was innovative, inventive, eclectic, and would influence a new generation of musicians. Recently, nine of the albums Duke Ellington released during this period were released as The Complete Columbia Studio Albums Collection 1951-1958. This collection starts with 1951s Masterpieces By Ellington and closes with 1958s innovative The Cosmic Scene. Not only does The Complete Columbia Studio Albums Collection 1951-1958 feature the original albums, which have been remastered, but each of the discs feature bonus tracks. Featuring nine albums, the box set shows different sides to the Duke’s music. He truly was an innovative musician and bandleader. The Complete Columbia Studio Albums Collection 1951-1958 begins with 1951s Masterpieces By Ellington, 1952s Ellington Uptown, 1956s Blue Rose and A Drum Is A Woman, 1957s Sweet Sweet Thunder, 1958s Ellington Indigos, Black, Brown, Beige and the intriguing At The Bal Masque. The last last album on The Complete Columbia Studio Albums Collection 1951-1958 is Duke Ellington’s Spacemen The Cosmic Scene. It was inspired by satellites orbiting the earth. A truly groundbreaking album, it shows yet another side of the Duke. For anyone new to the music of one of the greatest band leaders, composers and musicians, then The Complete Columbia Studio Albums Collection 1951-1958 is the perfect introduction to the music of Duke Ellington. Not many artists enjoy the longevity that Duke Ellington enjoyed. His career stretched sixty years and saw him win twelve Grammy Awards. Not only was he a legend of jazz music, but one of the great American songwriters. While the box set covers the period between 1951 and 1958, the post-war years hadn’t been kind to Duke Ellington. So the fifties were a period of reinvention for Duke Ellington and his music. He was a prolific artist, who released several albums each year. Some of his most innovative, inventive and influential albums of the fifties feature in The Complete Columbia Studio Albums Collection 1951-1958. ← THE A-Z OF THE BEST BOX SETS OF 2013-PART 2.